Many of our friends ask us how to make extra money on the side? There are so many ways to make extra money that we don’t know where to start! This article has ten of our favorite ways to make more money. We have included some of the best ways to earn active and passive income online. A few years ago my wife and I were stuck in meaningless jobs that barely paid the bills. Actually, despite being highly educated, frugal and hard-working, we found ourselves getting deeper and deeper into credit card debt. Miserable. This was really no way to live life. We couldn’t afford to do anything fun and life was just one big working slog of depression and anxiety. We realized that something had to change, so we started different ventures to make extra money on the side. Things slowly began to change for us as we started to make an extra $100 every month. Then as time passed we started making an extra $1,000 every month. Eventually we started to make an extra $20,000+ during good months! We recommend FREELANCE PROOFREADING as one of the best active income ideas to start making money online as quickly as possible. You can get started right now with this amazing FREE webinar that explains how to get started as a freelance proofreader! We want to show you how to make extra money on the side! Today, we wanted to share with you how to make extra money on the side. These are all ways that we used to escape a life of poverty and frustration. We still use some of these ideas and live a much improved financially free life in sunny Florida. It took us a few years to get to this point but anyone can do it if they want it badly enough! It was not an easy journey for us – expect to put a lot of work in upfront. 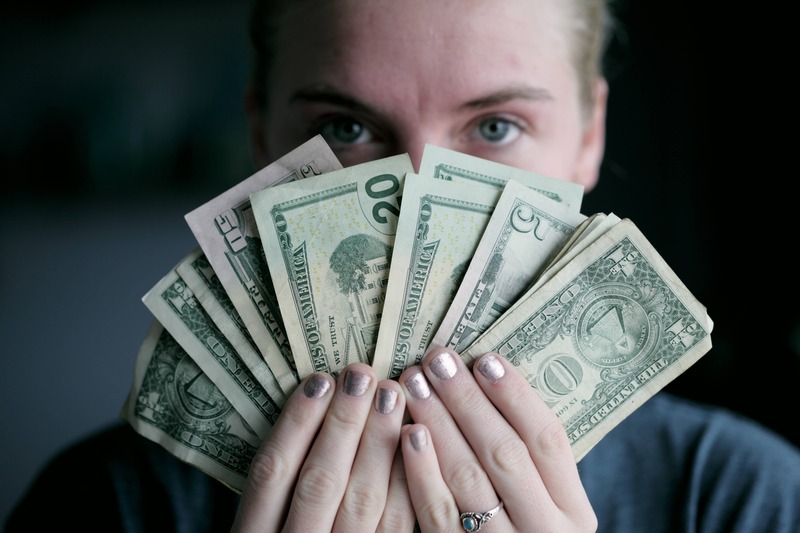 Slowly overtime we have been able to set up systems that make us money while we sleep, but if you are new to side hustles, you will likely have to start with the less passive ways to make extra money (try some of these ideas). We have included some of the best ways to earn active and passive income online! Let’s get started learning about how to make extra money! Honestly, getting started and taking the first few steps are so crucial to changing your financial life! Paid surveys are one of the easiest ways to start to make extra money on the side. Think of paid survey sites as your way to accumulate some extra money to invest in other online ventures. Paid surveys will never make you rich, but they can be a great way to make some extra money on the side. They do require some work (completing questionnaires for pay) but it is not skilled work and they offer a very easy way to add a few hundred dollars extra income every month. Additionally, paid surveys can be completed in the comfort of your own home and you can choose how much work you do. Our readers favorite paid survey site is Survey Junkie. Survey Junkie offers the best user experience that we have found for paid surveys. The also offer the highest pay rate and the most varied surveys. We have made significant extra income by completing surveys on the site. If you would like to read more about Survey Junkie, check out our full review of the site. 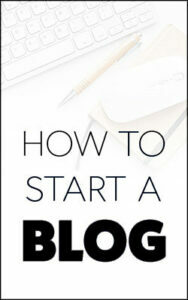 Starting a blog is by far the best way to make extra money online. You can start a blog for a few hundred dollars TODAY and within a few month be earning $1000+ extra every month – maybe more if you have the time to really work on it. When people ask us how to make extra money, we always suggest starting a blog to make money. Blogging is one of the best ways to earn active and passive income online. We have been blogging for a few years now and the income generated from affiliate marketing and ads is one our main sources of income. There is so much information out there about starting a blog, there really is no excuse to not have a blog or website working to earn you money 24/7! We have a great step-by-step tutorial that explains exactly how to start a WordPress blog and self-host (a must!) using Bluehost. Use the widget below to find out if your blog or domain name is still available! Freelancing is another fantastic way to make extra money on the side. The best part is that it costs almost nothing to start! It is probably a good idea to learn how to make extra money with freelancing. Why? Because some sources are predicting that as much as 40% of people will transition to independent contracting by 2020! Have you considered freelance proofreading online? Check out this millionaire proofreader’s FREE MASTERCLASS to learn how! Freelancing online can be a lucrative and very flexible way to make extra money on the side from home. The most famous site for signing up to be a freelancer on is Upwork. Writing and proofreading articles for bloggers is one way that you can make some extra money by freelancing. As a blogger myself, I never have enough time and anything that I could outsource to a good quality freelancer I would! Freelance proofreading – make up to $100 per hour! Freelance proofreading is one of the easiest and most lucrative active income ideas that most people can start quickly. It does help to be the type of person that loves to spot and correct mistakes! If you are always getting annoyed at typos in menu’s etc. then proofreading might be perfect for you! 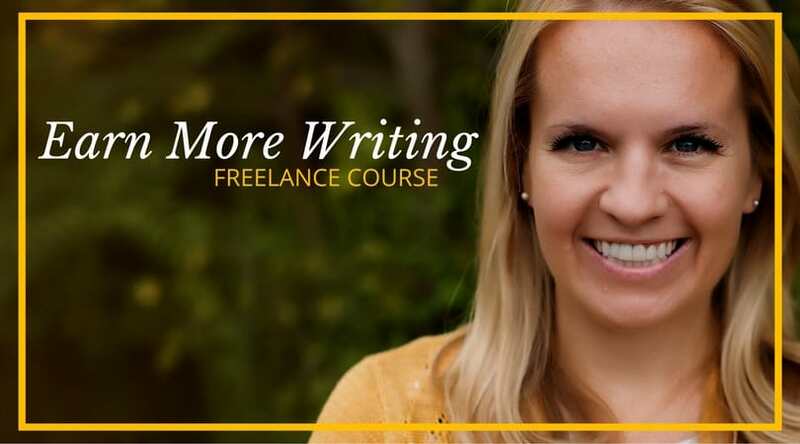 If you want to learn more about freelance proofreading or get more information about how to get started, check out Caitlin Pyle’s free online workshop. The 76-minute presentation reveals how Caitlin went from being fired to a multi-millionaire proofreading entrepreneur! If you are good at writing then consider that you could be paid $50 -$200 to write a blog article! Typically, the time required to do this would only be about 1hr – 2hrs. Simply sign up to be a freelancer on Upwork with any skills that you have. Writing articles is a great way to get started. If you have any website development skills then you could try that as well. If you are looking for more work then you could try emailing website owners to see if they need any extra help writing. Freelance writing has the potential to replace your 9-5 work or just make you an extra $1000 every month – it totally depends on you and the time you are able to devote to it. If you would like to know more about freelance writing, be sure to check out our article about how Holly Johnson makes $200,000 a year as a writer! There are just so many other great ideas to make extra money with freelancing. If you don’t like writing – don’t worry. Here is a list of some other ideas for you. If the work can be done online and sent to a client – then you might be able to start a side business as a freelancer! Mystery shopping companies exist to provide other companies with very useful feedback on important aspects of their business. Mystery shopping can be a very easy way to make extra money on the side. How does it work? The Mystery shopping firm hires you to be an undercover detective to test out or report on some aspect of their client’s business. Cool right? Is the store dirty? What could be improved? Were the products displayed neatly? It is possible to make extra money on the side with mystery shopping in so many different locations like bars, bowling alleys and so many other fun place and get paid for it! Here are a few sites to learn more and to start your mystery shopping adventures! 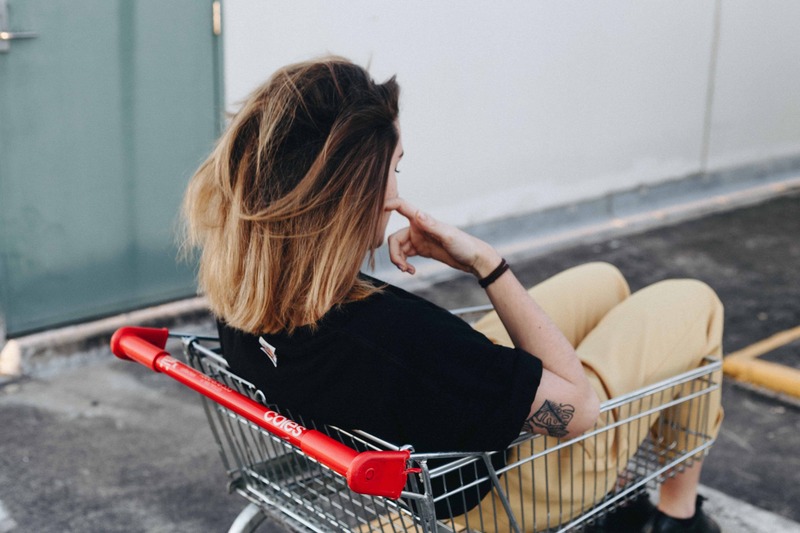 If you like to get paid for shopping or even hitting up a bar, then give mystery shopping a try! Shopkick is a free location-based rewards app that is available to both iPhone and Android users. With Shopkick you can earn rewards when you just go into participating businesses. There is a whole bunch of ways to make extra money using this app such as just visiting participating stores (these are quite numerous and include locations like Best Buy, Target, Macys, Crate and Barrel and American Eagle. You will not make a fortune with this app but you can make a bit extra money for doing no extra work – who doesn’t love that? You can find the Shopkick app searching the name “Shopkick” in the App Store (iPhone users) or in the Android Market (Android users). The Poshmark App makes it very easy to make some extra money on the side by selling clothes that you no longer wear. It is very simple and quick to do – just snap a picture of the clothing with your phone and list it! The process takes seconds and items do sell pretty quickly. Poshmark also lets you to sell shoes, bags and even cosmetics that you no longer need. JustAnswer is an easy way to make some extra money on the side. If you have some specialized knowledge that others may benefit from, then you may be able to share that knowledge and get paid for it! Pretty easy way to make a little extra money. Get paid to watch videos or search online with Swagbucks. They give you a lot of options to make some extra money on your phone or computer. Did you know that you can make $75 per hour as a local tour guide? This probably works best if you live in a big city like LA or New York where there is a lot of tourism. This use to be a difficult business to get into. However, you can connect with potential clients very easily on a few different sites. Check out sites like Vayable to get started with this potentially lucrative side hustle. Captioning is one of the most lucrative ways to make extra money! You can get paid $1000+ per month for producing the closed captioning (CC) also known as subtitles that appears at the bottom of the t.v. screen. You don’t need any special equipment and the barrier for entry is very low. Learn how to make extra money with captioning – Learn more here. Good luck with these side hustles! Please let us know in the comments if you have found any other great ways to make extra money, so that other people can try out your ideas! Hopefully we have given you some of the best ways to earn active and passive income online. If you start with the active income ideas and transition to the more passive ones, you will most likely be able to retire earlier than you think! We hope that this article has shown you how to make extra money on the side! We discussed the best ways to earn active and passive income online. Do you have any ways that you make extra money? Comment below! Such a great and informative post! I am currently earning online on a part-time by writing blogs for Bitlanders. I am also working on the improvement of my blog. Thanks for the ideas, already using some of these to make some cash. I used to feel desperate and my days were filled with worries about money. Now I test cool new apps on my phone and am making really good money. It’s easy…all I do is write my honest review and I get paid!